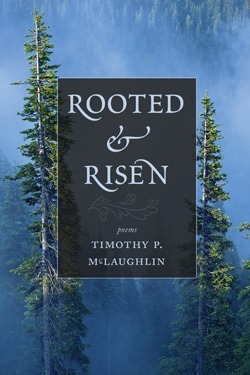 This début collection of poems from Timothy P. McLaughlin chronicles an inspired intimacy with the still wild places and presences of the Earth. The musical, iridescent language delights the senses and draws the reader/listener back into an essential creatureliness and basic loving kinship with the natural world. “Here is a wide-hearted man utterly in love with the ground on which he stands, with the broad-limbed and leafing trunks, with the antlered powers and the rain-swollen clouds. On some nights his sleep carries him down and down into the earth where he encounters his ancestors; on others, the crescent moon pours an unseen wine into his chest, and he begins to sing. His songs are these poems. 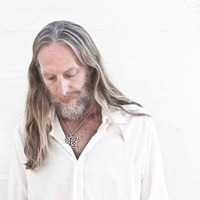 Timothy P. McLaughlin is a poet, spoken word artist, and teacher. He taught in Native communities of South Dakota, Montana, and New Mexico for thirteen years and founded the celebrated Spoken Word Program at the Santa Fe Indian School. He and his students received numerous awards and were featured in many media publications and programs, among them The New York Times and The PBS New Hour. He is the editor of the award-winning book Walking on Earth and Touching the Sky: Poetry and Prose by Lakota Youth at Red Cloud Indian School and the producer of a poetry album and documentary film both titled Moccasins and Microphones: Modern Native Storytelling through Performance Poetry. In 2007, Timothy was named the University of Virginia Madison House Alumni of the Year for his dedication to service work.